I have already made my entry official! I might buy a plane at the auction. I can't go to Flite Fest Ohio but still support this cause. I think this is a completely terrible idea. The men and women in the armed forces of the United States give a lot, and some gave all, to defend this country and our freedom. Being part of an airshow at Flite Fest Ohio this year is the least we can do to honor all veterans who have served and those who still serve. If you want to help honor our men and women in uniform, and those who served before them, all you would have to do is build any plane that was previously, or is still used by any branch of the U.S. military. Just to open the options a bit more, any allied airplane in WWII can also be used for this event. After the plane is built it should be decorated, whether it be a simple patriotic design or a super scale model, just make it look really cool, and here are two great examples. I am hoping to be able to get all other planes grounded during the airshow, but I am not sure how many people are willing to participate. The more people the better chance we have to show off the planes and raise more awareness for the auction. As I mentioned after the air show is over an auction of all the airplanes will commence, with 100% of the proceeds going to support the Fisher House Foundation. The planes should be swappable if you would like to keep your more expensive electronics, servos and any other non removable electronics stay with the plane (glued in motors/escs, EDFs etc...). 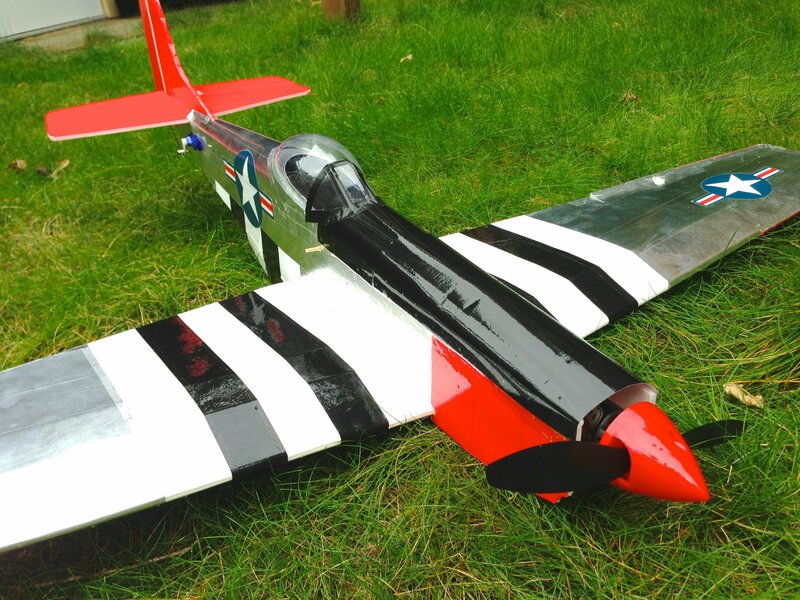 Flite Test is going to be supplying the power pods, (motor and esc) for every swappable entry in the air show for the raffle. This means that if your plane is swappable then all that you need to supply for your plane is the servos! If you enter and cannot complete the plane in time for the air show, or for some reason can not attend FFOHIO, you will not be held accountable in any way for your entry in the air show. The main goal of this air show is to honor veterans, to support the Fisher House Foundation, and to show all of the great things this community is capable of while supporting a good cause. Help us out by joining today! 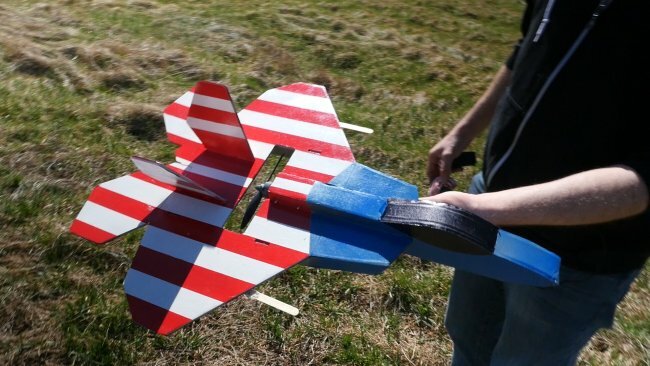 We all build A LOT of planes and could sacrifice some foam and servos for a good cause. If you have any questions or recommendations please leave them down below! I absolutely love this planes design and it’s flight characteristics. Plus the designer is an awesome community member who is putting in a lot of time to help with this event. NamActual - Dat Rhino in Marine livery, possibly a Navy version as well. Thanks for joining the show! It's great to have some one other than myself already on board and I can't wait to see how that plane turns out. I have been watching that thread for a while now and know that that is going to be an awesome model. Just to open the options a bit more, any allied airplane in WWII can also be used for this event, this now opens up a lot of new designs from the 2018 forum challenge. Check out this thread HERE if you have not seen it already and for some inspiration. I just LOVE this idea - and it's so great that Flite Test is jumping in to support it too!! I'm not sure if I'm going to be able to join everyone for the main activities at Flite Fest this year - I think I'll need to leave early Friday - but I do want to participate in this. I've got a very nicely done Flite Test Spitfire I'll happily donate - but I might need someone else to pilot it for the demonstration as I'll be gone by then. I'll get some pics posted of the Spit tonight. And Thank You for stepping up and taking on the challenge / workload of organizing this! Thanks rockyboy, It means a lot and I was inspired to do this because of your most recent challenge and I am sure that some one from FT might be able to fly her in the show. Also if you could help spread this thread around that would be greatly appreciated! I think I am going to switch gears here for a second. The way things are at work I am not sure I am going to be able to make it to FFE this year. There is still a chance I can make it, but I just want to contribute wether I make it or not. My hope is to get this new project done within a week or so. That way even if I do not make it to FFE, others can build one of these and contribute if they wish. These are relatively cheap and easy to build, not to mention pretty easy to fly. I already have the plans done, but I need to rework the skins a bit as the basic design has changed since my prototypes. Once they are done I will release the skins as well just in case someone else wants to build one. 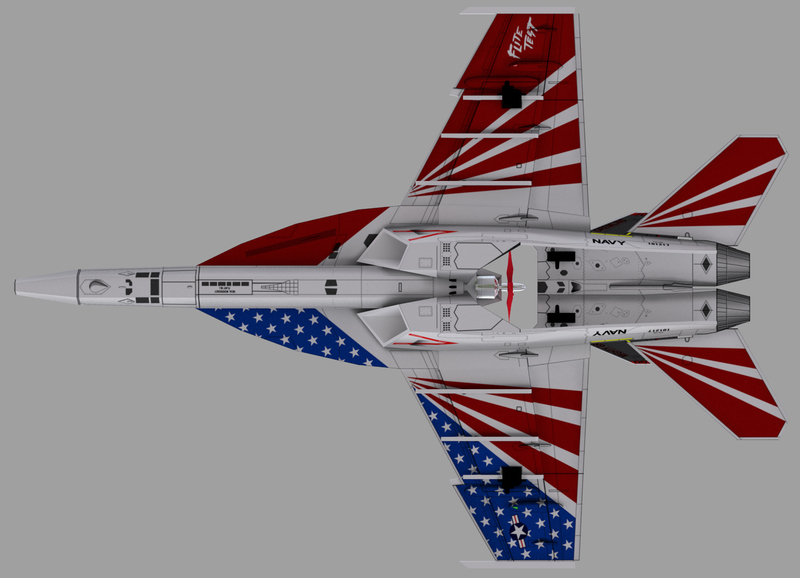 Note: I am just playing with the paint scheme, at the moment. The “Navy” will be replaced by “Veterans” or something similar. (Other ideas welcome) Depending on how quick this goes, maybe I can make a unique skin for each branch as well. That looks really cool, I might change my FT-22 entry to that because I can't seem to find any plans for flite test's F-22. Check on the SPONZ plans index . I know he has the mighty mini one. It's a pretty simple build, but probably more involved than most FT builds. Give the build guide a once over. If you have any questions just ask. I hope to have the new skin done in a week or so. The skins do complicate the build somewhat, but the results are spectacular. Yeah I checked sponz plans and the ft articles with no luck.... I’ll take a look at the f-18 though. https://drive.google.com/file/d/0B1oVzwqWwGZbOWlkNEZJa2JyUVE/view?usp=drivesdk This though be the link for the mighty mini f22 . I'm a little late to the party but I think this idea is great! Thanks grifflyer, are you going to FFOHIO this year? Probably not, it would be like a 14hr drive. yep! same here! but of course you aren't 14 hours in the same direction as me... that would be too good! haha! awesome idea! it's a great thing to honor our vets and anyone who thinks otherwise is an absolute ignoramus (or ignoraMOOSE as we say in Maine) and a disgrace to our country. a big thank you to everyone participating. unfortunately i highly doubt i will be going to FFO this year. could i still build a plane with my own electronics and fly it at home? maybe video record it and post it?